There are no shortcuts to becoming a safe driver. Increase your teen’s driving skills with our second highest rated Advanced training package. Their driving performance will be taken to the next level after 27 total hours of in-car training with a Certified Professional Driving Instructor on Advanced driving tracks in our Advanced Plus program. Build your teen’s skills and confidence on the road in a variety of driving situations. 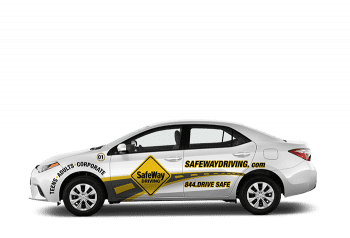 The SafeWay Advanced Plus program is a graduated training program that puts your young driver through 20 driving environments on 10 planned tracks that include both daytime and nighttime situations while also fulfilling 27 of the 37 State required hours. Even the State knows that 7 hours is just not enough for a young driver, which is why the New National Minimum recommends at least 10 hours of in-car professional driving instruction. The SafeWay Advanced Plus exceeds this recommendation and prepares your teen for today’s dangerous roads with 27 total hours of SeatTime. When you enroll in the SafeWay Advanced Plus, your teen will receive 27 SeatTime Hours, leaving only 10 additional State required hours to be completed by you. Road crashes are the #1 cause of teen deaths in the U.S. because young drivers are not getting enough SeatTime with a Certified Professional Driving Instructor. The SafeWay Advanced Plus package will increase your peace of mind by taking your teen’s driver training to the next level.